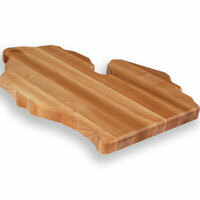 The Michigan cutting board is made of solid Northern Hard Maple with an edge grain in the best of butcher block tradition. 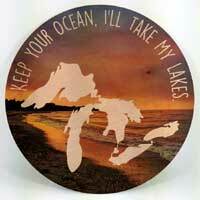 This personalized bamboo cutting board is laser engraved with your personalization. 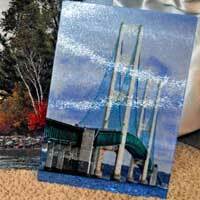 The Michigan Photo Glass Cutting Board is created using dye sublimation by firing the image into the surface at high pressure and temperature.